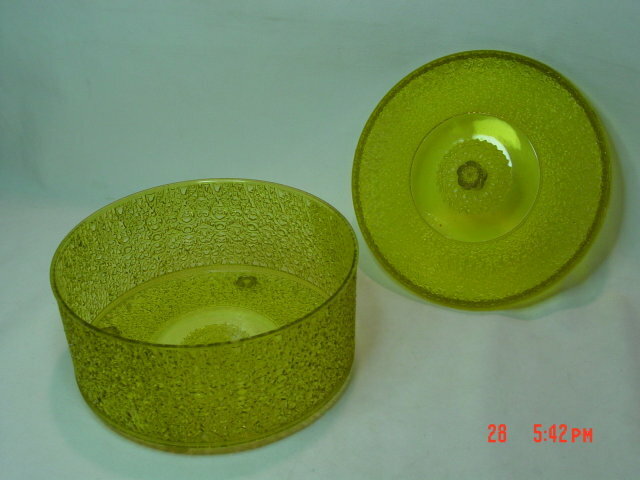 This 8" round and 4" tall amber plastic lidded box is made by Regaline. 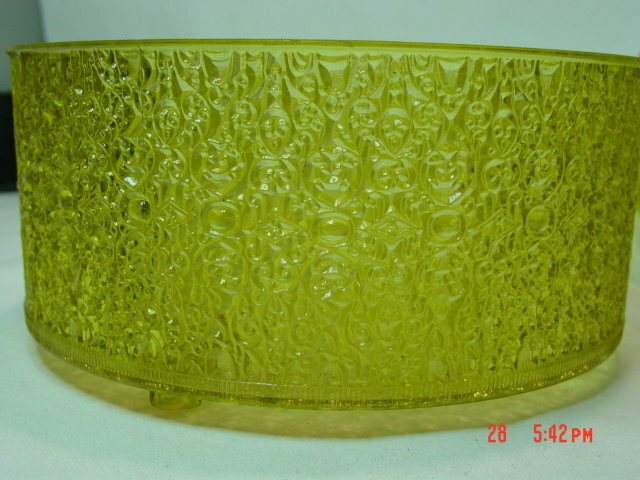 The inside is clear and smooth, and the outside has a raised relief swirled design. There is a raised knob for a handle. There are four feet molded into the bottom. 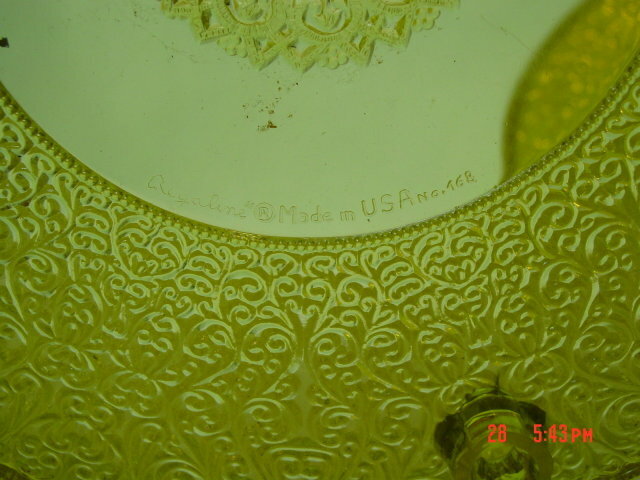 There is a ring in the inside center which says Regaline", a capital letter R in a circle, Made in USA No. 168. It might have been used as a sewing box, or perhaps to hold candy. It is in wonderful condition. 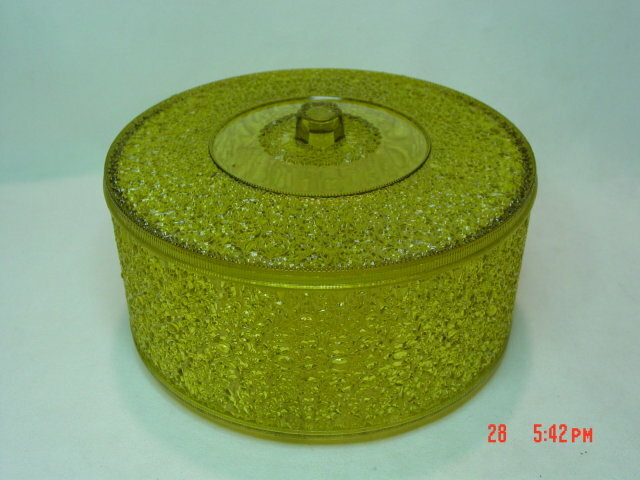 Items Similar To "Round Amber Plastic Candy Sewing Box Container by Regaline No. 16..."